Either the New England Patriots equipment guys forgot practice jerseys for the teams trip to Southern California this week or Bill Belichick is doing something Bill Belichick-y. It’s probably the latter, but who cares because GRONK. With no numbers on the jerseys, Rob Gronkowski was provided with a blank canvass and an opportunity to express himself artistically. 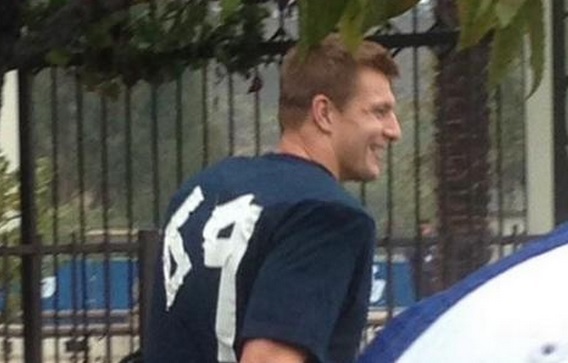 What better way for Gronk to express himself than by using athletic tape to craft himself a new number on the back of his practice jersey. Gronk. #69 in your programs, #1 in your hearts.